Camping experience for everyone: RV, car camping or backcountry canoe-in sites. Activities for all ages: great hiking trails, canoe/kayak rentals nearby and many great beaches with smooth rocky shores provide excellent swimming; bring your bikes! 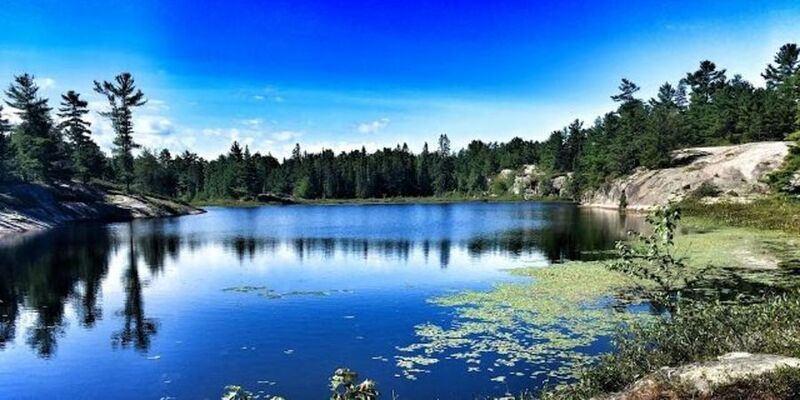 Countless inland lakes that offer endless canoeing and kayaking adventures. Located just off the Trans-Canada Highway Natural Heritage Education Programming. A mixed forest marks this area as the boundary between north and south.